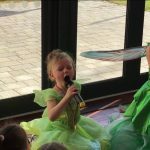 Examples of some of the games (we can’t give a specific list as we tailor each party to suit the age, number of attendees, venue size & group ability); Jump the Lily Pad, Treasure Hunt, Pixie Dust Relay. 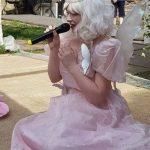 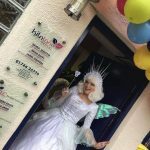 Imagine seeing the children’s reaction to meeting a real mythical creature who will explain in person their journey getting to the event and how they transformed from such a tiny creature into a life size fairy. 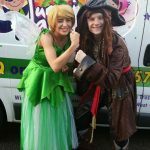 These interactive, themed parties are designed to capture the imagination of youngsters.